Welcome to Graymac Yard Completions! GYC is a Red Deer-based landscaping company. In addition to providing landscape services, we also offer our expertise in regards to Aggregate Sales, Excavation, Firewood Sales, Commercial Snow Removal and Gravel Truck Services. 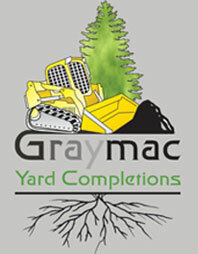 GYC has been providing landscape services to Red Deer homeowners and businesses for the last several years. Whether it’s a big or small project, GYC can help you obtain the outdoor oasis you’ve been looking for. Sometimes homeowners think their landscaping projects are out of reach, but with a little planning and creativity GYC will take your ideas and turn them into reality. We strive to provide unique landscapes that accentuate your home, adding lasting value to your property and directly increasing your enjoyment at home. Our experienced staff is ready to work with you every step of the way, from the initial planning stages to the finishing touches. Our excellent reputation and long list of satisfied clients speaks for itself.